Adam Johnson and the Radio Lonsdale Football Commentary Team broadcast LIVE match commentary of ALL Barrow AFC home games and most away matches, with post match interviews with the Barrow AFC manager wherever possible. This year our broadcasts are kindly sponsored by The Bluebirds Trust, this sponsorship covering the costs of our 4G SIM data for away games. The data used for home games is provided by Barrow AFC. Times are flexible to suit match timings and wherever possible will include post match live interviews. This show will occasionally replace our normal Tuesday evening schedules when Barrow AFC are at home! 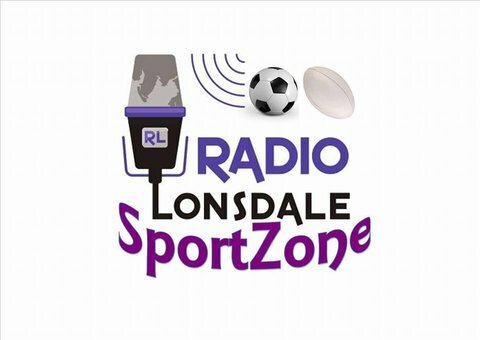 Radio Lonsdale commentaries are now used to accompany the excellent official post match highlights videos, by Barrow AFC Media Officer, Matthew Dodd. All official highlights are available on the Barrow AFC Youtube site. Like our football coverage? If so, why not make a small donation to YOUR hospital radio station? We appreciate all donations, no matter how big or small, and they help us to maintain & update our costly specialist audio equipment which enables us to broadcast from almost all football grounds. Awards for All - £7,367 for Purchase of Outside Broadcast Kit!